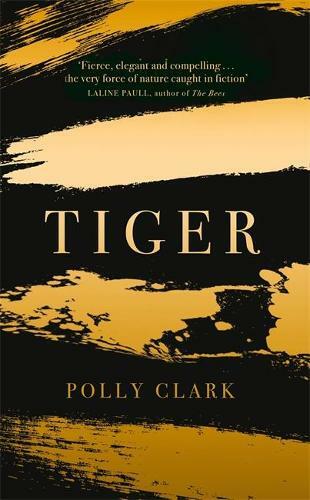 Polly Clark, author of Larchfield, discusses her second novel Tiger, her research trip to the iciest corners of Siberia to bring tigers to vivid literary life and writing the wilderness with anthologist Ana Sampson. from the prize-winning author of Larchfield. Tiger is a bewitching novel that brings together three humans and a tiger (and - soon - legions of enchanted readers) in the snow-smothered Siberian forest. Frieda is a primatologist, sensitively attuned to her research of animal behaviour. A violent attack shatters her world and, battling addiction and her fears, she must start afresh at Torbet Zoo as they prepare to welcome their new ward: a magnificent Siberian tiger. Tomas is a Russian conservationist, steward of one of the world’s harshest environments, who fears that the natural order of the forest has been toppled. The King tiger has been killed by poachers, and a spectacular tigress now prowls his vast territory. In the freezing winter, when all living things compete ruthlessly for survival, the tiger’s path crosses with a native mother and daughter eking out a defiant but perilous existence in the snow-shrouded wilderness. To control her domain, the Undeghe people tell tales of how the tiger must punish every infraction. They bear grudges. They never forget. They will kill those who try and fail to kill them. The fourth and final narrative takes the reader deep into the world of the tiger herself. A magnificently immersive reading experience, Tiger plunges the reader into one of the world’s last surviving wild places with blistering authenticity.